This Valentine's day we're taking it back to the 1990's when love was simple, ya homies stayed bout it bout it, and music was hella fresh. From TLC, to SWV, to Boyz II Men to Usher…the list goes on. 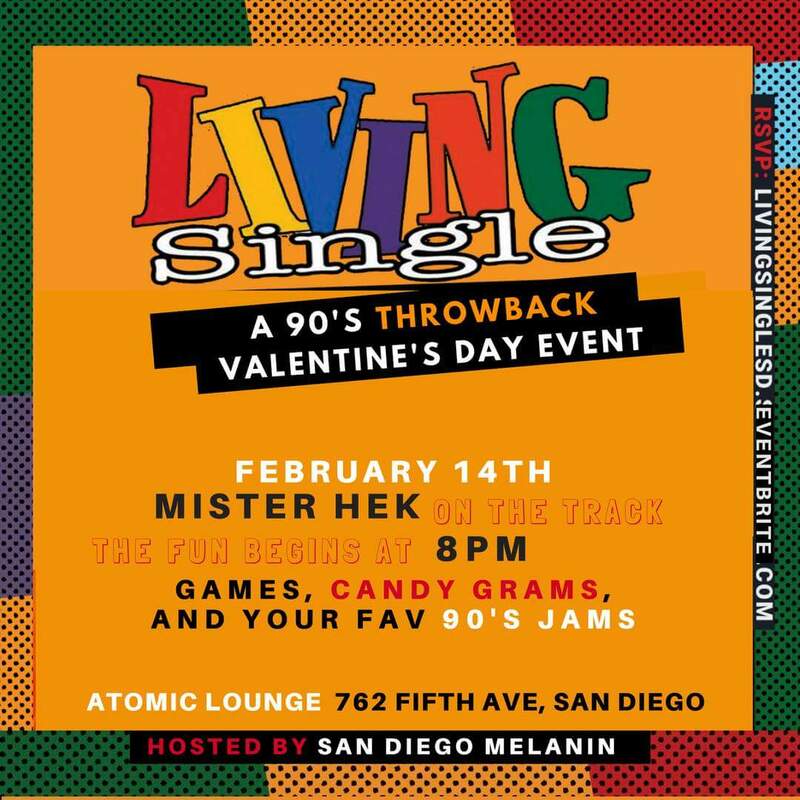 So grab ya pager and ya homeskillet and come kick it with San Diego Melanin because it's never too late to catch a bae! Send the cutie at the bar a candy gram and a drink and, boo yah, you might just leave with a boo who's all that and a bag of chips!! We'll have games on deck and Mister Hek and DJ Drumright spinning all you favorite jams. No Buggin, good vibes only! No scrubs allowed so Cut. It. Out. A ticket does not guarantee entrance into the party. Early arrival is highly suggested.